For the third year in a row, Canon is the winner of the Keypoint Intelligence - Buyers Lab (BLI) Copier MFP Line of the Year. The models in Canon’s copier MFP line are running three years strong as trailblazers in their respective segments. For the third year in a row, Canon is the winner of the Keypoint Intelligence - Buyers Lab (BLI) Copier MFP Line of the Year. 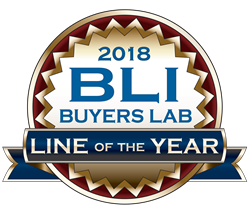 BLI, the world’s leading authority on document imaging devices and software solutions, presents its most coveted Line of the Year honor once annually to the vendor whose product line is determined to be the best overall, with models at every level that excel in BLI’s rigorous laboratory evaluations.